Just this past week, the CBC reported that the CRA has shared 1.6 million banking records with the IRS. This may cause investors concern about the privacy of their financial data at their financial institution and the impact of dealing with two different tax departments. Digital technologies are indeed taking over from the transactional data-entry skills of yesteryear, creating immense demand for high-value professional advice that focuses not only on achieving the best after-tax results for Canadian families, but also protecting their financial security. It’s also important to realize that these same technologies are changing the relationship between taxpayers, their financial institutions and the CRA. 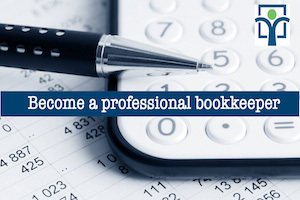 Already, much of a client’s data from banks, employers and government “self-populates” into online bookkeeping and tax programs. The CRA, in turn, receives that information and then returns it to taxpayers through “Auto-Fill My Return.” As financial transactions between all of these stakeholders become increasingly seamless in end-to-end electronic transmissions, investors and taxpayers need a trusted relationship with highly skilled financial advisors who will ensure their rights are protected, their privacy is protected and that they are paying only the correct amount of tax. The traditional practitioner can add little value in this scenario. However, a highly-qualified specialist can offer so much; beyond annual tax filing, the client-centric advisor can provide ongoing strategic advice tailored to the client’s financial goals before, during and after important financial milestones. Most importantly, they can keep track of the electronic flow of information and advocate for the client when electronic data is questioned, misused or lost. 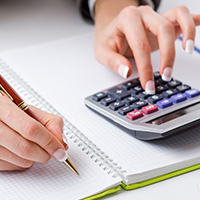 The tax specialist’s role is well known to most clients. Their focus is on filing the most accurate return to ensure the client can take maximum advantage of lucrative tax savings, and be audit-proof, too. It’s a deadline-driven process focused on minimizing taxes and avoiding penalties, and the onus of proof and responsibility to meet tax filing obligations is on the taxpayer. The more complex a taxpayer’s family and financial affairs, the more they will benefit from working with a DFA-Tax or Bookkeeping Services Specialist™. These specialists bring precision, deep knowledge and tax research skills to the table. The role of the financial services specialist is equally specific and important in managing after-tax income and wealth; however, this aspect can be somewhat more challenging than tax filing and planning, as it is driven by life events. There are no specific penalties for failing to save for the future, except the worry of the unknown, and the question: will I have enough? True wealth can’t be defined with a number – it’s financial peace of mind – and a highly skilled Real Wealth Manager (RWM) or deeply knowledgeable Master Financial Advisor (MFA) can bring that kind of reassurance and financial security to the table. Over the long-term, what matters is what your client keeps, based on the amount of the client’s income and capital, after tax. That’s where the intersection of the two key financial roles becomes most powerful: when both tax and financial services professionals work together to ensure the client can take maximum advantage of lucrative tax savings while filing audit-proof tax returns, as well as investing and building wealth for the future. What is the difference between a true specialist and a practitioner trained to enter data into a tax return program, or to sell investment or insurance products? In a word: advice. That’s important to clients looking for both technical expertise and a trusted relationship with their financial advisors at critical financial moments. Therefore, this is also a key question that career-seekers in the financial services must ask themselves, and answer with a well-thought-out professional development plan. Advisors who want to add value as specialists and trusted advisors must choose the best educational pathway to achieve their goals: readiness to serve their clients in the new economy.